Have a bunch of things in the works – swapping rotors for an AlphaSpid unit and a major home shack computer upgrade (details in a later post). Bought a copy of the latest Ham Radio Deluxe to try out. For the remote station intended for Washington Island use, a SteppIR CrankIR antenna with 80m kit will be put in use, and have acquired a Flex Radio Systems Flex-6300. Initially I’ll push the old shack computer into service there, but have another box that I’d like to put into use there. Slow evolution, but very positive improvements! 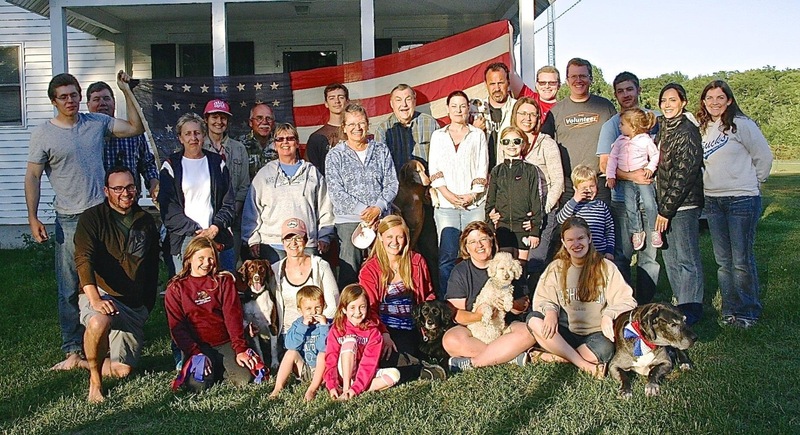 About 11-12 of those gathered for Greengate Farm’s 2014 4th of July picnic are licensed hams, the newest George and Susan’s daughter Amy KD9BTF who was licensed a few days ago after spending a few years teaching in Micronesia. A great time was had by all, the the little ones participating in the children’s parade and then off to the fireworks. Fabulous time with great group of people!